Just a glimpse of the Tipton-Rosemark Academy Lady Rebels’ record entering last Friday night made it clear the team was having a solid season. Since the arrival of Head Coach Shari Armour three seasons ago, TRA has steadily improved. This year’s mark going into the USJ Lady Bruins contest was 9-9. But the Lady Rebel’s overall record was a little deceiving. If TRA dropped the game to USJ, its record would drop to 0-5 in league play. And the Lady Bruins were able to make shots on the TRA Gymnasium floor while the Lady Rebels couldn’t string togther shot leading to a 65-24 loss. Armour said one clear issue is her players getting over the mental block of who their opponents are. Before kicking off district play, the Lady Rebels traveled to Obion County for a holiday tournament picking up wins over public schools like Ripley and Humboldt. South Fulton was only able to beat TRA by four points and host Obion County managed to pull away late from the Lady Rebels. With the momentum, Armour had high hopes heading into the district schedule. But games against Fayette Academy, St. George’s and Rossville Christian left TRA winless in league. Ahead 2-1 Friday night after a Hannah Quinn basket, the Lady Rebels’ defense was working for the first portion of the opening period. Then the Lady Bruins were able to hit a jumper. USJ used their defense to create buckets leading to a 16-2 lead entering the second quarter. The Lady Bruins outscored TRA 20-6 in the second quarter. The Lady Rebels got points from Sara Hall and Taylor Beasley. Hall and Beasley scored in the third quarter as well along with teammate Ally Naifeh. The forward hit two three-pointer in the period for TRA. 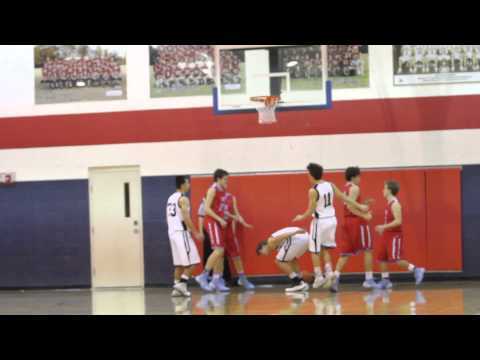 Despite a few bright moments, USJ was in control of the games handing TRA it’s fifth league loss. Armour said her team has to process all five games and realize it has the potential to win some games.